An architectural award honouring Dr.Edward S Nicholson, the first Chairman of the Beccles Society from its inception in 1966 for twenty-one years. The purpose of the award is to encourage good design, imaginative ideas and quality development through public acknowledgment of the work carried out by the recipients. 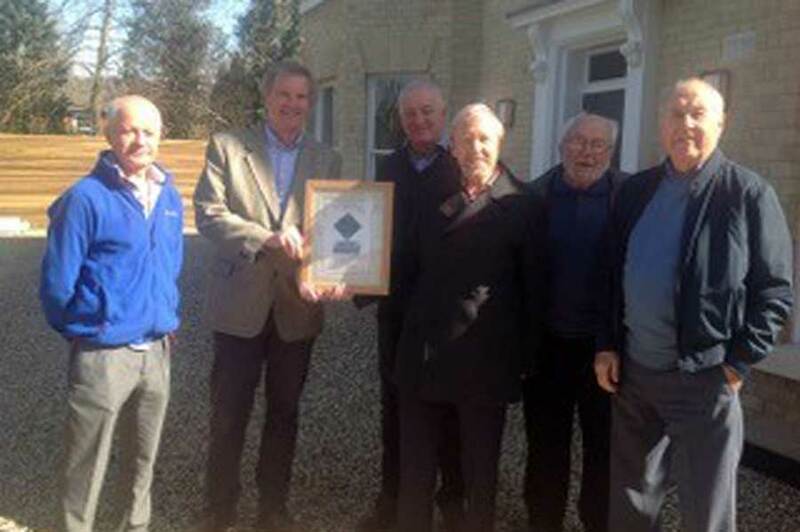 The award may recognise any development or building refurbishment within Beccles that the executive committee considers improves or enhances the built structure of the town. No account is taken of the size or value of the development, however aesthetics, build quality and function are of prime importance when we consider a scheme. Both private and commercial projects are open for consideration and the society can recognise more than one project in any calendar year. Although normally awarded on an annual basis the committee may decide that no development exists within the time period under consideration justifying public recognition. This approach ensures that the award is given only to those developments meeting our criteria. The purpose of the award is to encourage good design, imaginative ideas and quality development. 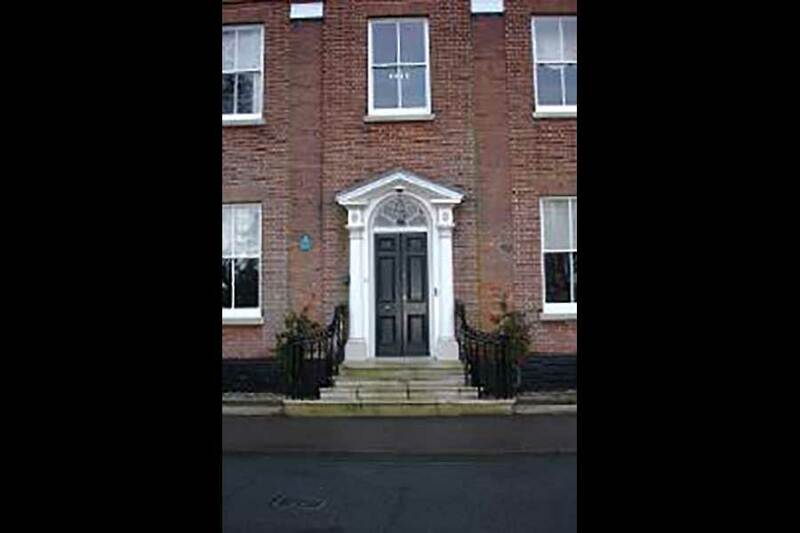 Consideration is given to any development or building refurbishment within Beccles which improves or enhances the built structure of the town. This year we have made the award to Brian Sabberton Limited for the tasteful and imaginative development of North House, which has been carried out to a high degree of quality, typical of the work of this company. 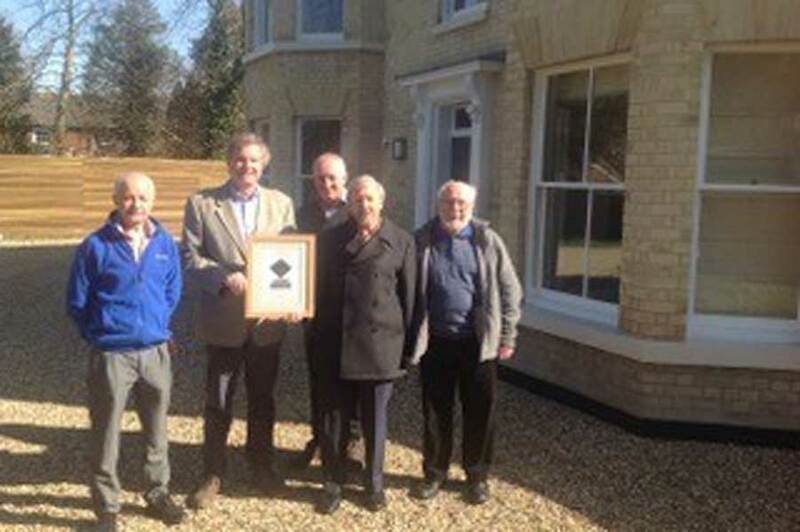 A part of this award is also for the outstanding crinkle-crankle wall constructed at the side of North House. 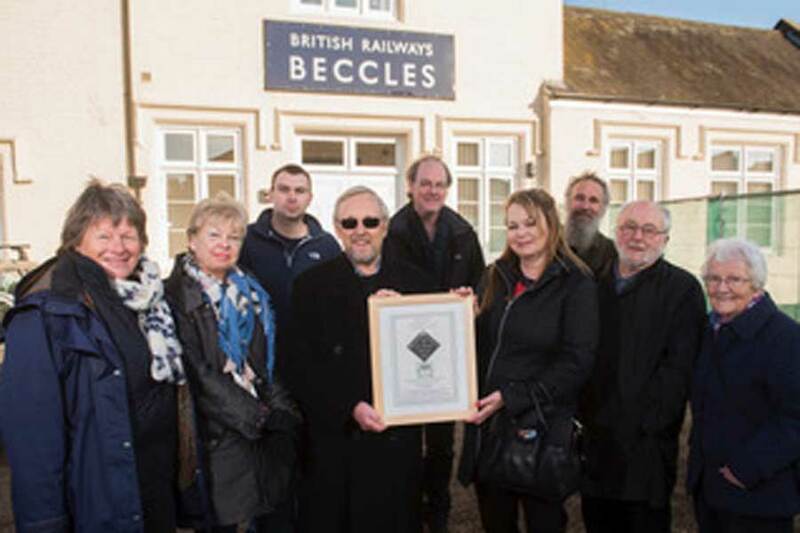 Some 2 years ago Christine Pinsent, as Chair of Beccles and District Regeneration Company, in conjunction with Councillor Graham Elliott, met the Crisp family and Ian Garrett, a local architect, to see if they would be happy refurbishing the Beccles Station building. It had been the wish of the late Arthur Crisp that the building at Beccles Railway Station be restored to its former glory. The building has been in the family for around 20 years and Mr Crisp passed away just as the project was getting off the ground. An agreement was eventually reached and they set about achieving their goal of providing a cafe, offices and community rooms for all to use. 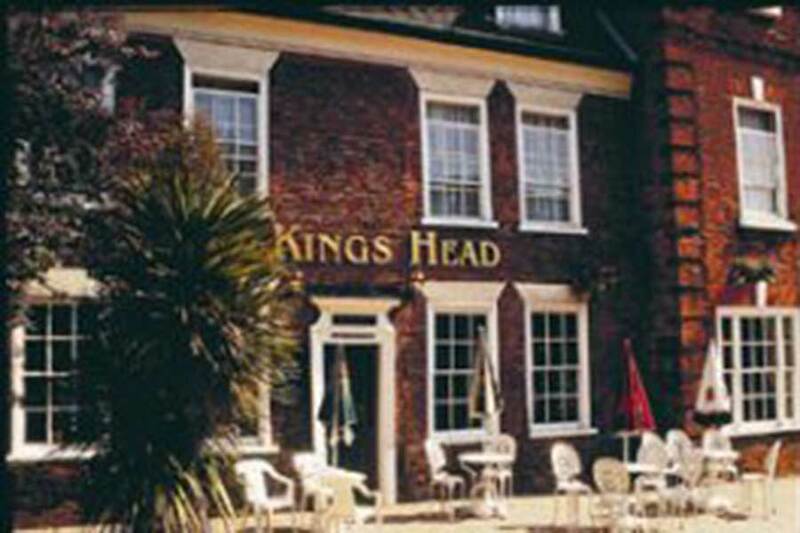 An ancient coaching inn at the center of Beccles that slowly deteriorated over the years. Subsequently purchased by a national chain it appeared to the residents that little was happening to revive the building. Behind the scenes however was different and when work eventually started it was completed within a short period and to a high standard. External ironwork was sympathetically restored including the use of the old cantilevered inn sign. Internally not only was the licensed and restaurant area refurbished but the old hotel area was completely changed with a new entrance installed at the rear of the building. Accumulated building works of poor standard were removed and the original stables incorporated into the hotel area with a new external 'cafe' area provided. The hotel, restaurant / public house now fulfills its original function in a modern manner, once again becoming central to Beccles life. Sometimes a project arises that does not meet the criteria of the Dr Nicholson Award, but nonetheless contributes greatly to the quality of Beccles life. In such a case the committee will award a certificate and where applicable make a donation in order to recognise the project. An example of this approach occurred in 2011. The failing Beccles pool, owned by Waveney District Council was sold by the council to a charitable community group, formed in 2009 specifically to rescue the facility. At the time of the award the charitable group had already secured a grant from British Gas to provide solar heating. 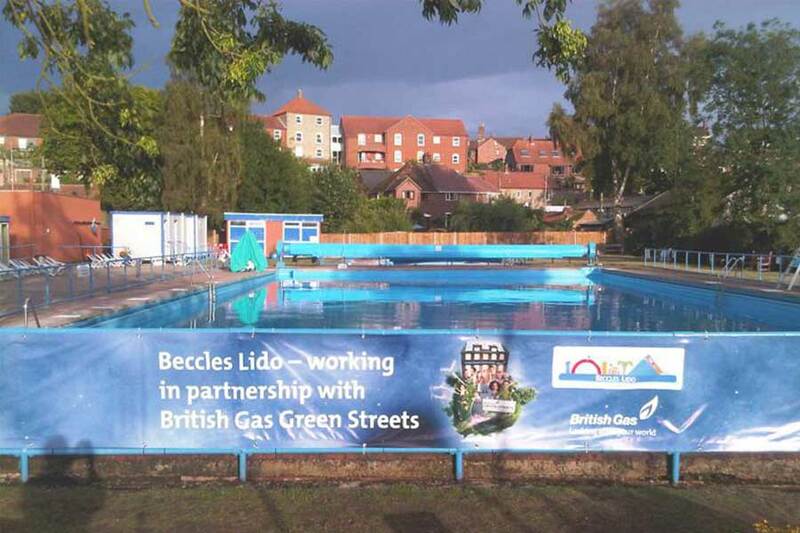 The Beccles Society acknowledged the re-opening of the Beccles swimming pool in 2010 by making an award and donation to recognise the importance of renewing one of the few remaining 'Lido' style open air pools remaining in the country. A re-development of a redundant market garden, originally owned by the Rivett family who produce they sold in their own Blyburgate shop. The development combined individual design of each property with quality building and attention to how the houses would relate to each other and the existing surroundings. 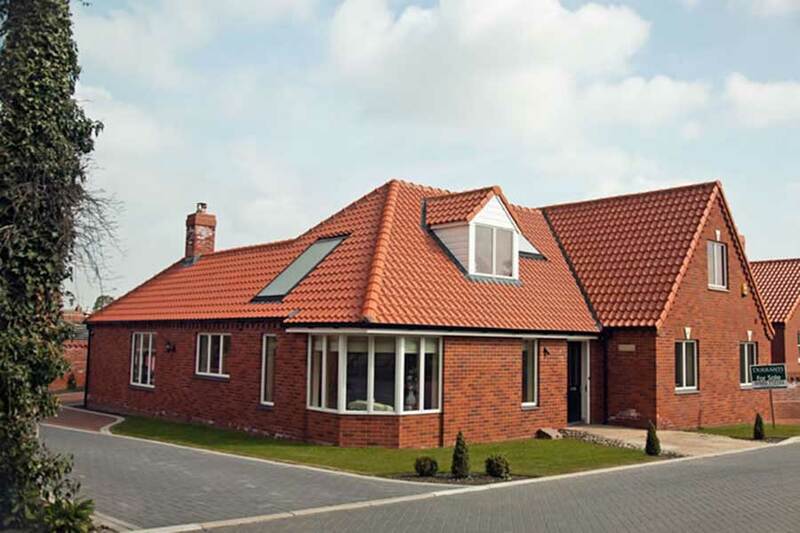 Each property incorporates excellent thermal performance with attention to low maintenance. The committee also noted that Brian Sabberton Ltd used local craftsmen and sourced their materials wherever possible from local sources. The entrance to this development was attractively and well laid-out accessing the busy London Road in a manner that surmounted the potential safety issues. A former public house located in ancient Blyburgate, the core of which is believed to be over 300 years old and of poor structural condition. Redevelopment needed a sympathetic approach that looked after the buildings history but allowed the owner to generate a property that would serve commercial needs. 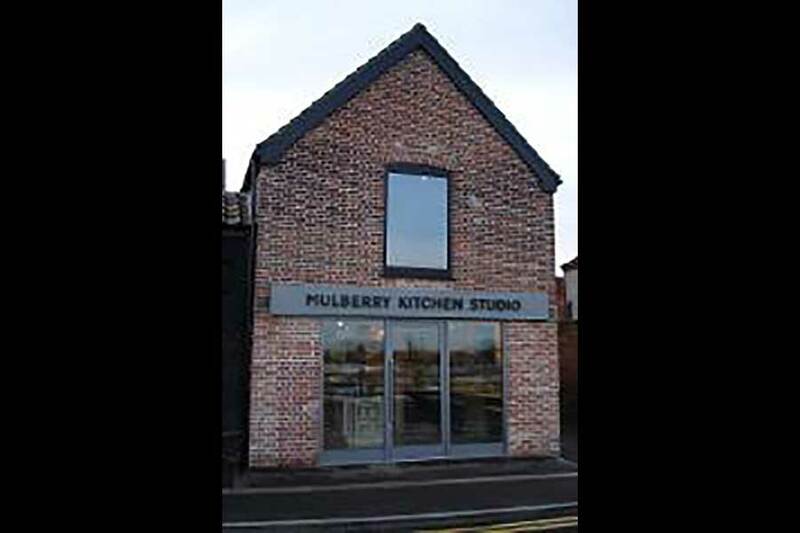 When completed the building presented a shop, a mews house plus a two-storey roof apartment. The face presented to Blyburgate extended the quality feel of the street further south. A 1960's grain silo in Gosford Road originally served as part of an extensive maltings complex. The pre-stressed concrete silo represented a significant chapter in the history of Beccles but seemed only suitable for demolition due to the nature of its construction and design. Wellington Construction on behalf of their clients Flagship Housing decided that conversion, rather than demolition was a possibility. 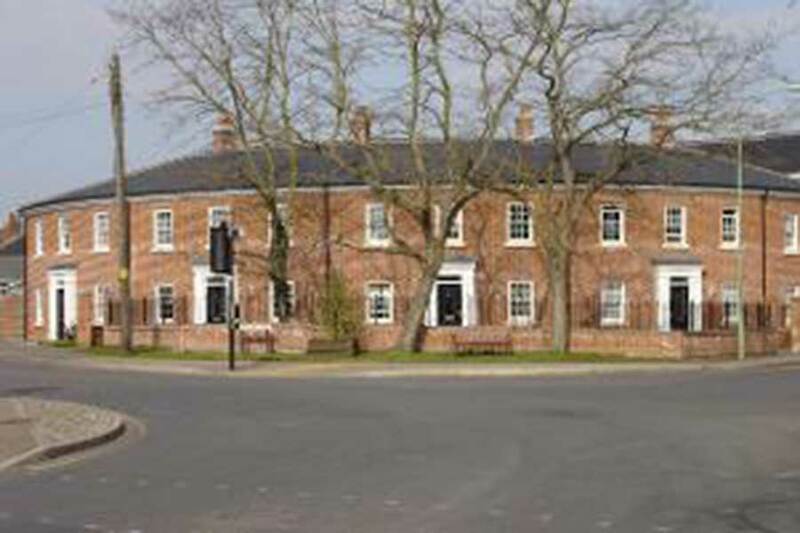 The result is twenty-two flats serving a social need and three penthouse apartments the sum of which dramatically recognise Beccles industrial heritage. 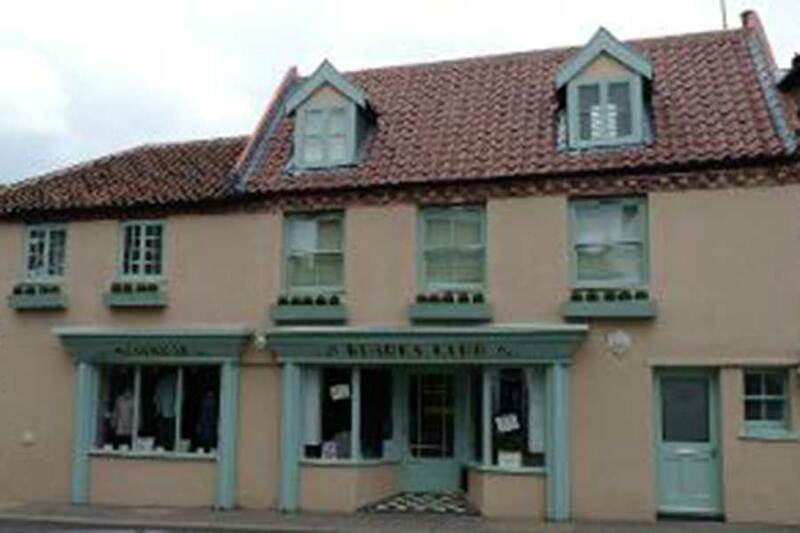 The site of this development was a petrol station occupying an important entry point to Beccles at Peddars Lane and Blyburgate junction. Opposite to the site is the old Kilbrack cemetary. The developer cleared the contaminated brown field site and built a semi-circular group of linked housing facing outwards towards the cemetary. The resulting build uplifted the town gateway through the adoption of a curved design rather than the more obvious "straight-walled" approach. Purpose built in 1914 as a cinema and converted for sound in 1932 the picture palace failed to survive commercially, finally closing its doors to cinema-goers in 1960. Subsequently converted to a furniture store after a spell as an antique center it survived in that guise until the owner John Wilson retired. Purchased by the national restaurant chain Prezzo, they appointed Whisper Design Consultants as architects. 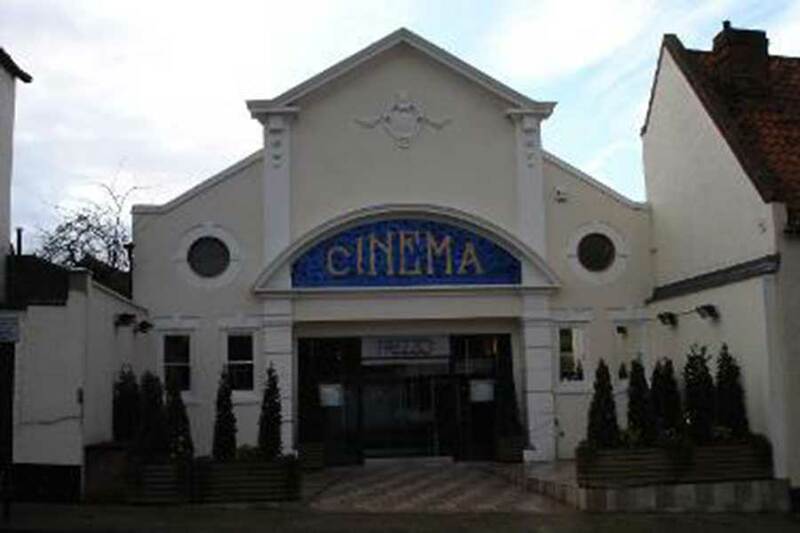 The final design removed a low grade addition on the front face, created a pleasant 'al fresco' eating area and restored the original glass mosaic 'Cinema' sign. Internally the false roof was removed revealing the original barrel roof. Other design elements included the use of the original projector aperture. Originally used as a lemonade factory in the 1940's and subsequently by the printers Clowes and then by the Co-operative Society as a store, this building has a typical work-a-day building style. It was a simple building that was getting to the end of its life and deteriorating. Father and son team Terry and Robert Goodwin carried out all the work from design to execution. The result is a quality restoration that re-invigorates the building and now offers modern bathroom and kitchen services. Importantly for the area, the restoration set a precedent amongst a varied group of similarly tired buildings, most of which are now active businesses. The above two projects each demonstrate the way old properties may be re-invigorated, allowing them to commercially contribute in modern world without the loss of historical character to the town. A grade II listed house probably built by Phillip Dykes around 1785 - 1804 and converted to flats some time after 1976 when it ceased to be a church property. The new owners Mr and Mrs Doe wanted to return the house to a single dwelling with re-furbishment of the period features. 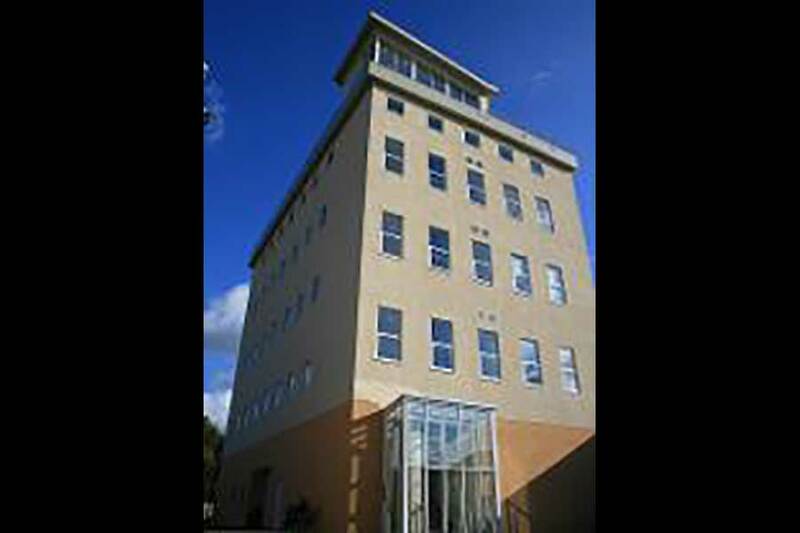 No architect was employed and the work was entrusted to Mr Rory Sheriff who carried out much of the work personally and acted as Project Manager when others were involved. Completion of the work has seen the house returned to a state that reflects its heyday as a family home. This imposing building enhances the historically important street of Ballygate. An internal and external refurbishment of a pre-1540 house, originally the home of William Rede, by Barsham Securities, proprietor Mr. S R Holmes. The work, carried out under the management of Mr. 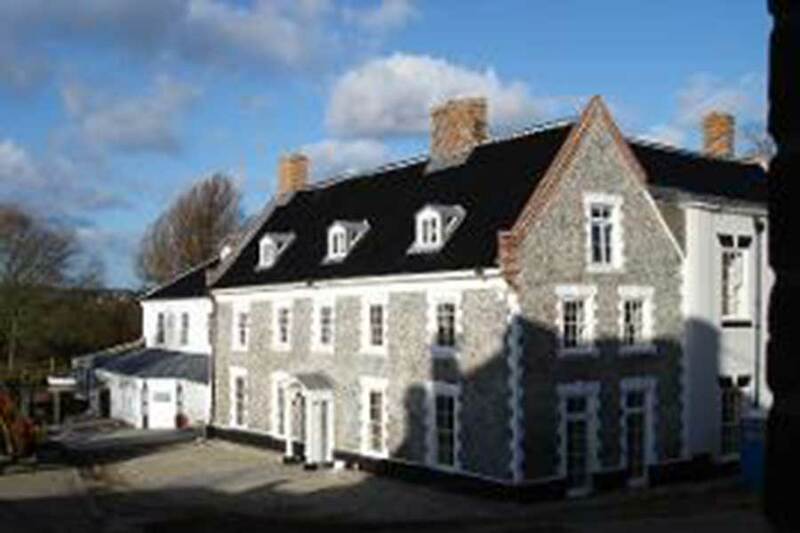 Steward Offord of OWL architects, swept away a number of poor quality additions to the Grade I listed building as well as completely retiling the roof with black glazed tiles. Considerable internal work to this ancient building updated it without losing original features, yet resulted in a building that serves modern needs. 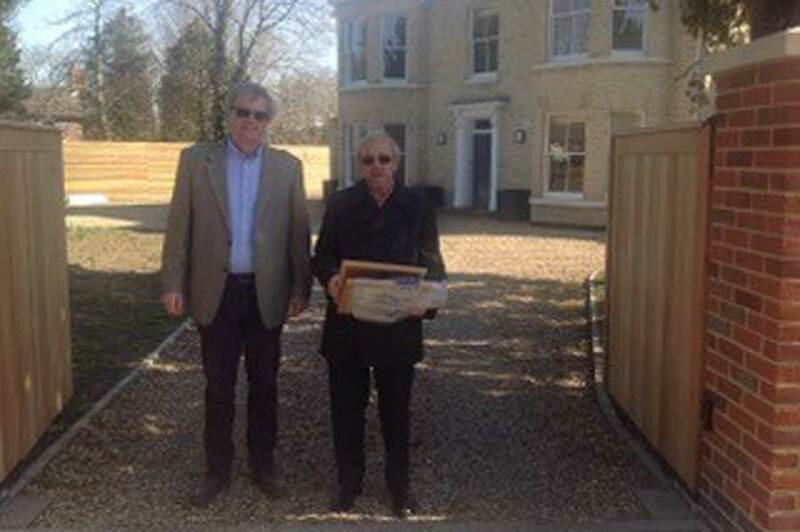 An award honouring Peter Clarke, Chairman of the Beccles Society for many years. Peter cared about the young people of Beccles and believed in having ties with our local schools to encourage their involvement with Beccles. The purpose of the award is designed to encourage primary pupils particularly to look at their town, question its history and become curious as to how it became what it is today, a vibrant, successful market town. 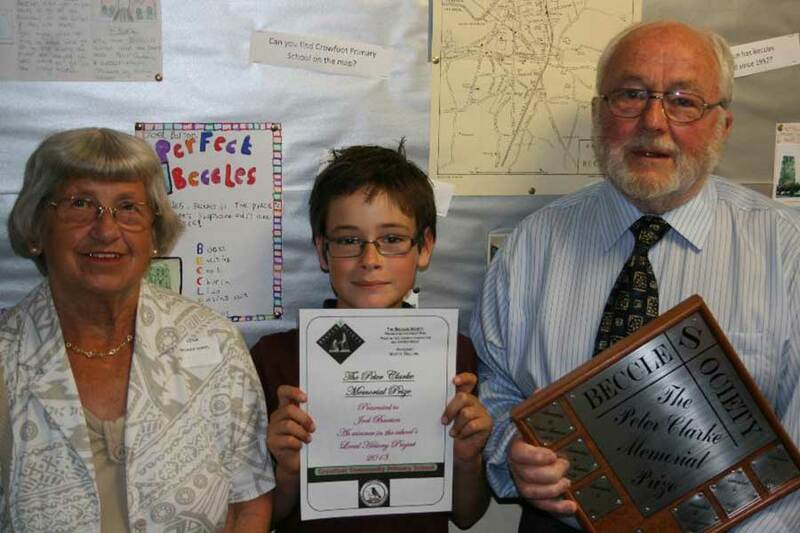 The Peter Clarke Memorial Award is presented to a Beccles School which in some way can show evidence of a commitment to one or more of the aims of Beccles Society. a) to stimulate public knowledge and appreciation of the beauty, history and character of Beccles and its surroundings. b) to conserve the architectural heritage of the town and support enhancements. The award consists of a certificate to the winning pupil together with a book token so they may select a book of their choice. For the school as a whole there is a trophy upon which the winners name is engraved together with the year of the award. We further provide the school with a book of their choice to be put into the school library so it may be used by all of the school. A number of schools were contacted to see if they had projects which would meet our criteria and Sir John Leman High School was able to show that they met our aims of both a) and c) in relation to their school work. All year 7 students spend time researching the history of Beccles, which includes a walking tour and studying artefacts from Beccles Museum. Whilst developing their skills, students reach a deeper understanding of Beccles, Including the history and environment. The students also complete a survey looking at housing in Beccles and understanding how it has developed according to needs through time, showing an understanding of the links between social need and built environment. 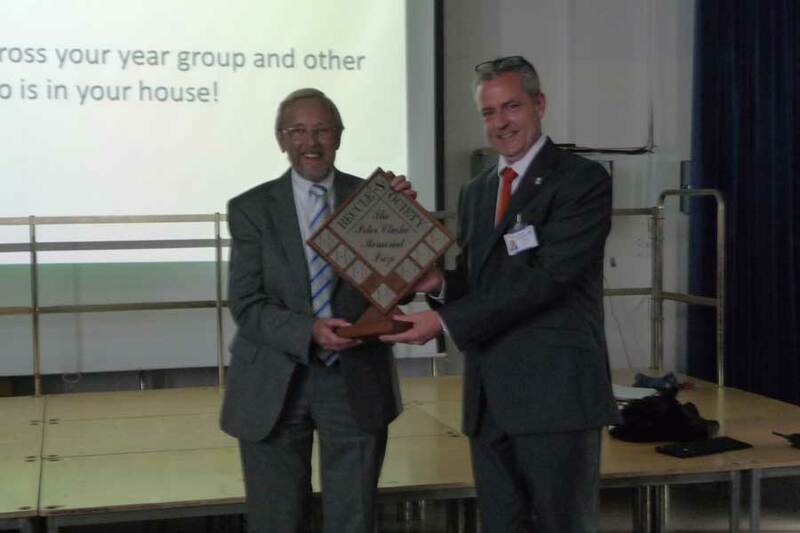 We judged that the high standard of the work met our criteria and the award was presented on the 5th October 2017 at the school assembly by myself and the vice chairman, John Sayer.